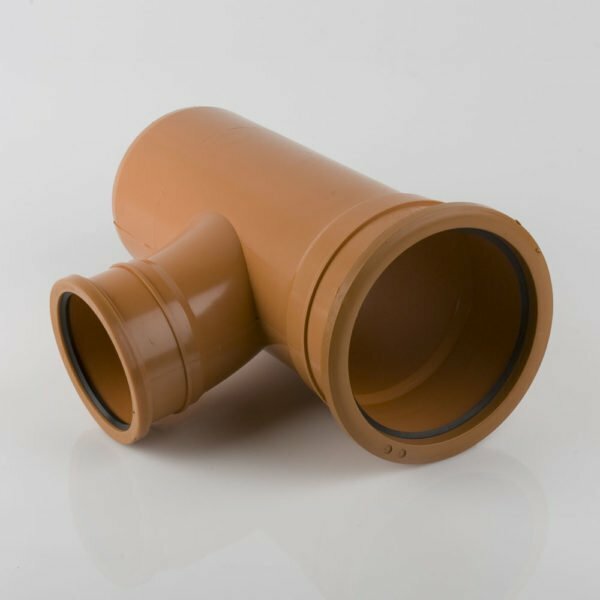 Buy 160mm Underground Drainage Junctions Online Here – Double Socket, Single Socket and Reducing Junctions Available! 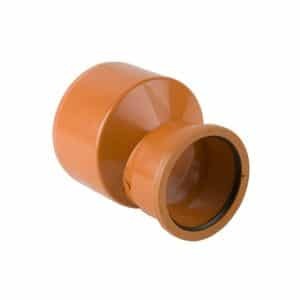 EasyMerchant keep in stock the entire range of 160mm Underground Drainage Junctions (sometimes called branches), in double and single socket. 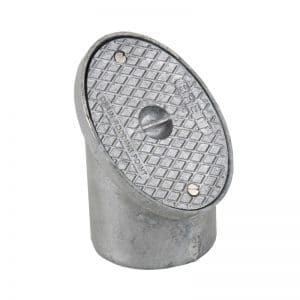 In addition, reducing junctions with a 110mm outlet for reducing down from 160mm to 110mm sizes. 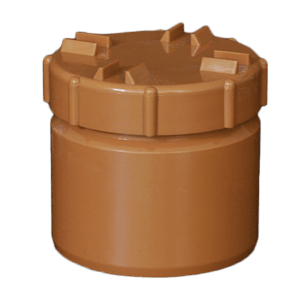 All 6 inch underground drainage junctions include a captive ring seal that is pre-lubricated and are kitemarked to BS-EN1401. 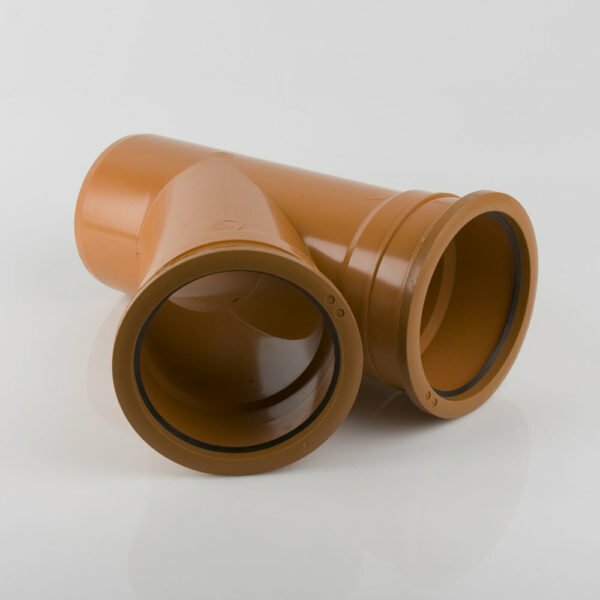 Our 160mm Underground Drainage Junctions should be compatible with any other product made to the same standard, and should allow an easy connection between 160mm pipes. 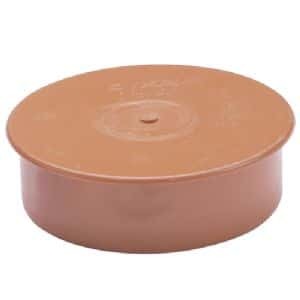 Easymerchant has quality products for you. If you are looking for a 160mm PVC Pipe Junction that provides an intact, long lasting underground pipeline, then Easymerchant is a great choice. These 160mm Underground Drainage Junctions are accredited, quality merchandise made to British Standards that you can fit and forget, knowing you have a nicely fitted, sealed system. Setting up underground drainage pipe systems is not a easy task. It requires close and precise calculations, regarding the dimensions, shapes and angles of different size pipes and fittings that are used. 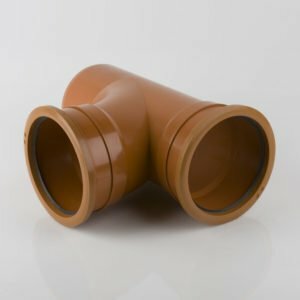 Since leakage or breakage is a risk we can’t take when installing underground pipes, one must be extremely vigilant a breakage could mean digging it up all over again so as to fix what might have broken. 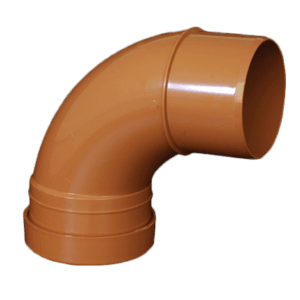 Thus, you’ve got to be extremely careful when installing each item of the underground drainage pipe system. 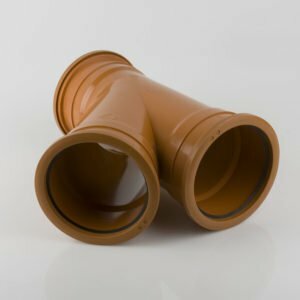 You cannot consider the simplest and smallest of items as insignificant or some less important because as a whole, it’s the individual accessories that produce the whole underground drainage system work. 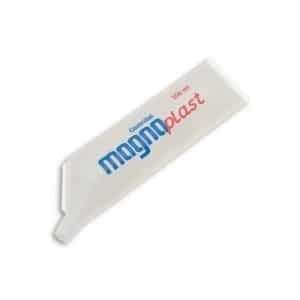 Long term planning is essential that should not be compromised. 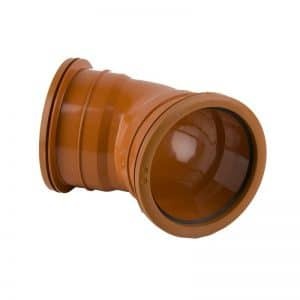 We understand that you will need to be certain you purchase drainage products at a location where your money isn’t flushed down the drain – excuse the pun – and that is why EasyMerchant offers a complete assortment of underground sewerage products. 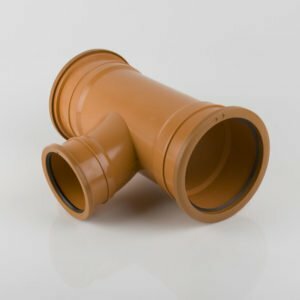 The underground sewerage system provides an efficient way of eliminating waste water and foul discharge from drainage systems installed in the home. The range includes many diverse bends, couplings, gullies and fittings that incorporate with EasyMerchant’s above and below ground drainage that can suit many requirements. 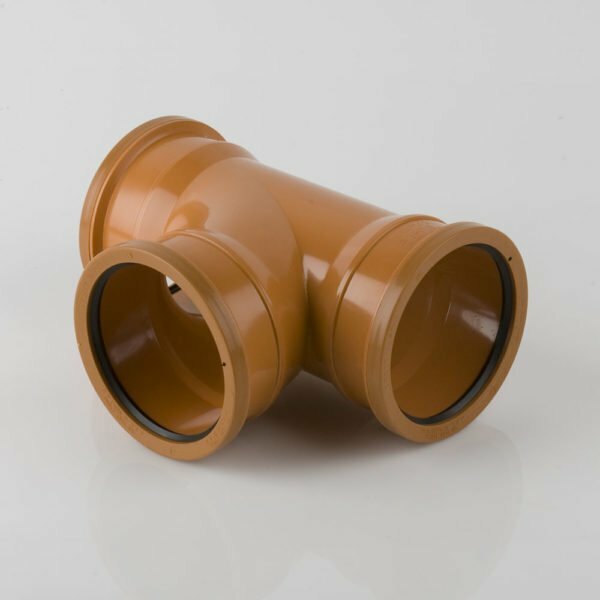 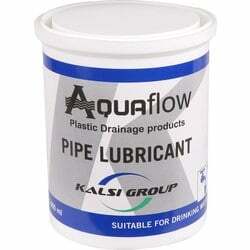 Manufactured in PVC to deliver a lasting and robust product, lightweight and simple to operate with. 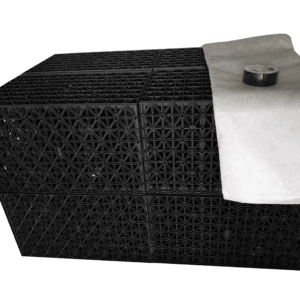 The items are acceptable for waste water release. 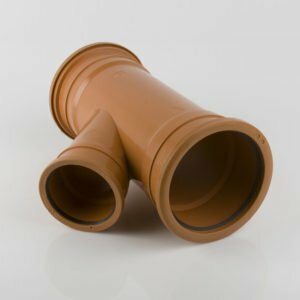 Whilst many clay products are no longer used with this specific system, clay drainage stays produced from the United Kingdom and it’s still favoured by some installers, even though it isn’t as easy to work with as the plastic pipe is because it could require power tools to install. Plastic sewer pipe work includes much longer working life spans, significantly stronger joints and it is a terrific deal lighter than clay is. Again how it’s installation, along with the pipe bedding that is used are important as these drainage pipes can be more vulnerable to supply ingress and deformity if not setup to the perfect specification. 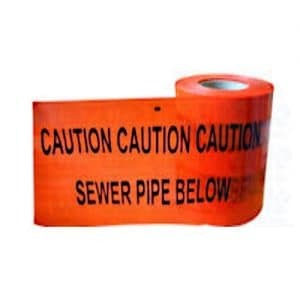 EasyMerchant highly recommends that you select a sewer pipe system that is Kitemarked and manufactured to BS EN 1401 Standards.